Partnerships with more than 900 affiliate offices in more than 60 countries give ONE Sotheby’s International Realty an unparalleled edge in locating the best properties and investors. Since its debut in 1744, Sotheby’s Auction House has evolved into the luxury go-to for prestigious possessions from jewelry to antiques. Its name translates around the world. Sotheby’s counts nearly three-quarters of Forbes’s 100 richest people, more than half of its richest Americans and all dozen of its billionaire art collectors among its clientele. Through this rare level of brand recognition and global footprint, ONE Sotheby’s is able to match the most coveted properties with International buyers. #WeareONE of the top real estate brokerage offices in South Florida and more so than an office, it comes down to the broker representing your best interests when purchasing a property or selling. We as Florida Real Estate brokers SHARE the MLS Property Database and cooperate with all other firms to promote & sell your property. Therefore, when your condo is listed exclusively, it is shown by any licensed agent who brings a qualified customer looking for a property such as yours. If you are a buyer, we have this shared resource, so you only need ONE exceptional broker to look after your real estate needs. FROM MARKETING YOUR PROPERTY TO POST CLOSING. 5 EFFECTIVE MARKETING STEPS in getting your South Florida property showcased, marketed, exposed, negotiated & sold the very first time. Selling real estate in today’s South Florida market requires a vast knowledge, experience, diligence and the financial ability to advertise and promote your property throughout the entire marketing process. I spend a fortune to be positioned where I am online and in getting your property showcased professionally. Understand your criteria for selling and professionally assess your needs & wants, plans & end goals when selling. Provide comprehensive market information with pricing bands to then recommend the best pricing strategy. Identify profitable (cost effective) home improvement strategies to enhance the value. I help give an unbiased, realistic view of your property and relay selling options & strategies available. Establish a competitive market price with the aim of multiple customer & client queries, showings & offers. Seller awareness when there is a strong emotional attachment, seller over-improvement or a functional obsolescence that may hinder the sale. Identify the optimal marketing solution, develop & implement a complete marketing plan for aggressive promotion. I pay for all marketing & advertising costs associated with the sale and begin hiring vendors immediately once the marketing agreement is signed. Your time is valuable so spend it how you choose to; allow me to handle the finite details and show you results while you step away from this time-consuming goal. Help you prepare the property for staging and showcasing the property to give the ‘WOW factor’ to prospective buyers. Arrange for a cleaning service to brighten & shine your property. We personally show your property to qualified prospects and the Realtor community representing qualified buyers. No lock boxes! Create a Showcase Video to serve as a 24-hour open house for global exposure (Youtube Channel, Vimeo, FB). Present your property to the past, and present prospects interested in your type of property, area or price range. 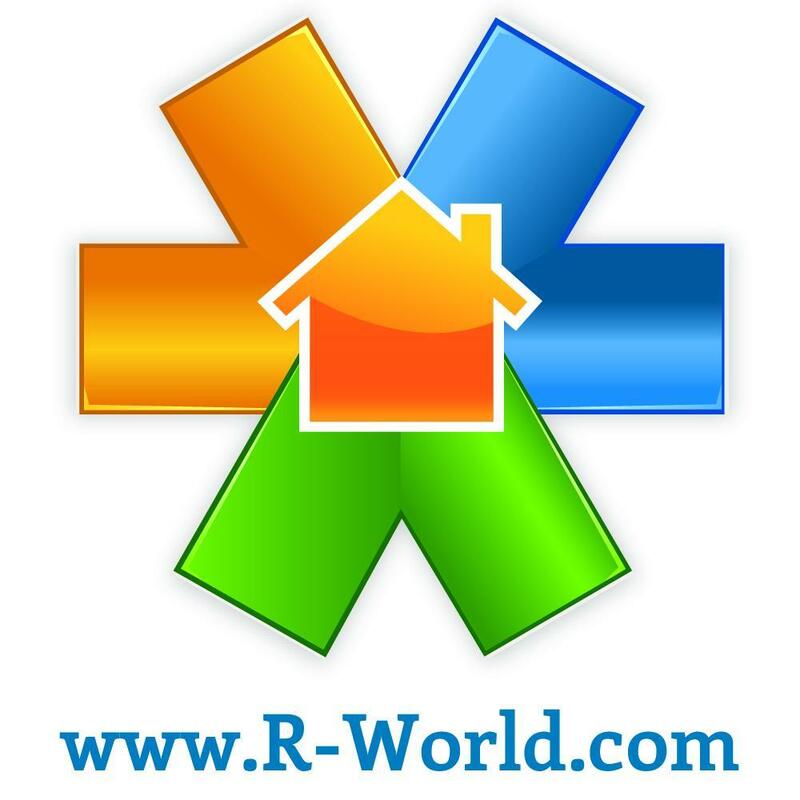 Network with other top Realtors, clients & customers by phone calls, database emails, and direct mail. Open House for your home or condo (by request only) – less than 1% of homes sell by an open house as most Realtors do open houses for buyer leads. *Brokers Opens (Special properties by request – luxury homes & condos. *Realtors show up to get free lunch, and the results are minimal). Website Address of your property with a Single Property Showcase Website. Placing your showcased property on the South East Florida Regional Multiple Listing Service (MLS) that markets to over 40,000 real estate agents in our immediate market area plus Broward and the Palm Beaches along with the public through Realtor.com and shared worldwide and locally through IDX Solutions. Placing & positioning your property on over 20+ of the world’s finest luxury real estate websites; these include Realtor.com®, WorldProperties (TRC direct to 28 other countries), Wall Street Journal, The New York Times, Mansion Global, CountryLife, PropGoLuxury, JamesList, The Washington Post, The Telegraph, Hong Kong Tatler, HGTV Front Door, RealtyTrac, Immobel, Trulia, Zillow, Homes.com, LivingChoices and many more. Promote your property here on MiamiDreamRealty.com (as Featured Property), a powerful & leading real estate website with global exposure and appearing in literally hundreds of directories. Major search engines include Google, Yahoo!, AOL, Best of Web, MSN and others include their foreign version (.ru, .br, .ca) ensuring maximized presence on the top of International Internet searches. Additionally, promote your property through MiamiBeachRealEstateBlog.us (Featured Listings) noting hundreds of daily visitors who look to see luxury property information such as yours. Another Miami blog site and a member of the Google Directory with a large and ever-increasing presence on the net. 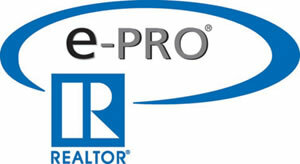 Your property on Realtor.com, which is the world’s biggest database of real estate for sale, as well as the official site for the National Association of Realtors®. Your property will consist of professional photographs, VIDEO Tour, and professionally written text, describing all the most relative and appealing features of your property. Market your property through Integrated Realty Information Systems (IDX) to Brokers and Agents throughout Southeast Florida. I allow and highly suggest Broker Reciprocity through the IDX Solutions. If your agent does not allow reciprocity, it is a disservice to your best interests as other agents may then also advertise & expose your property. Market Your Property through Wall Street Journal Online (Properties above $1M). Statistics & Preview Results of the number of viewers your property is attracting along with their location. This is presented monthly or anytime upon request. Market your property to top Brokers, building specialists and other agents who have sold similar properties through direct email & local networking events. Distribute your property information to selected Brokers, building & neighborhood agents along with top agencies dealing in luxury waterfront property in Southeast Florida. I have a rich email database of the most successful agents actively selling in our community. I reach out via email and phone to other building & area specialists to suggest your property for sale and encouraging them as a cooperating broker. Social media communities showcasing your property and promoted on Instagram, Facebook & Twitter. I have access to private Social Media brokerage accounts where South Florida properties are shared daily to top producing agents and brokers. High-quality digital photography of your property by a professional photographer for exposure on MLS, websites, social media, and print ads. In keeping up with today’s most cutting-edge technology, I utilize the best in Aerial drone technology for still photos and aerial videos to showcase an elevated view and location. TubeMogul & Vimeo HD Video published online & through various site feeds. ONE Sotheby’s International Realty with an International exposure and a vast affiliate network showcasing your property to affluent buyers around the world. ONE Life Magazine – A ONE Sotheby’s International Realty Print Publication Showcasing Your Property. High-Quality Postcards as ‘Just Listed’ & ‘Just Sold’ sent to the immediate building and premier areas around your property. I AM FAST to respond and quick to follow up.. Test me! Assure continuous effort to promote and market your property until it sells. I handle, assist and advise on all price and term contract negotiations. I have the experience and knowledge that help place you in the strongest negotiating position. I will go over tried and true negotiation strategies and am well versed in the negotiating gambit. Giving you up to date information about the local market, sold values, new competition with relevant terms & conditions of competing properties through monthly email updates and phone calls. Consistently provide feedback, updated market information and consult on the best options throughout the sales or leasing process. I encourage qualified buyers to make serious offers and to help you objectively evaluate every proposal without compromising your marketing position. Evaluate all offers, negotiate the final agreement and always protect my clients best interests. I will represent you in all offers presented. Typically, the process of selling a condo or home involves offers and several counter offers. A seller is best represented by an experienced broker that does a multitude of challenging sales that have exposed them to all facets of negotiations. Many times multiple negotiation solutions will keep the deal together and move fast forward to close timely. I have your best interests in mind so you’ll always have someone on your side including loyalty & full disclosure. Be available to assist you and your potential purchaser(s), on a full-time basis leading to an efficient, hassle-free closing. Facilitate & coordinate the entire closing process saving you time & stress on the closing of your property and ensuring a successful and stress-free sale. Review final closing documents and give advice to clients about the closing. I am available post-closing for advice, expertise and real estate related information you may want & need at a later date. Provide post closing information, pdf documents, consulting services, vendors and readily available with any future real estate needs. Ashton has the professional credentials that demonstrate his experience, education, and skills – the following designations and certifications show a high-level of commitment providing you with an exceptional level of service. Recognized as the mark of accomplishment in luxury markets around the world, the Certified Luxury Home Marketing Specialist (CLHMS) designation assures affluent buyers and sellers that the agents who have earned it have the knowledge, experience, competence, and confidence they require. Members of The Institute, who hold the CLHMS designation have documented performance in the TOP 10% of their markets, and have successfully demonstrated their expertise in the luxury home and estate market. One of the top designation courses in real estate taught nationally by the Real Estate Negotiation Institute. This 2-day course offers professional negotiation and business building training. Scientifically proven persuasion approaches that increase success rate at influencing others. The International Consortium of Real Estate Associations (ICREA) is a global alliance of leading national real estate organizations in the world’s major markets. ICREA assists members of these national organizations by helping them efficiently and profitably facilitate cross-border business. ICREA also helps buyers and sellers in locating properties outside their country and in finding a real estate professional who abides by a code of ethics and can best meet their individual needs. The Transnational Referral Certification prepares real estate professionals to make and receive compensated referrals using the ICREA Transnational Referral System and integrate international referrals into their business plans. The course covers finding a referral partner, agreeing on compensation, meeting customer service standards, participating in the compensation dispute arbitration process, and using ICREA business tools. 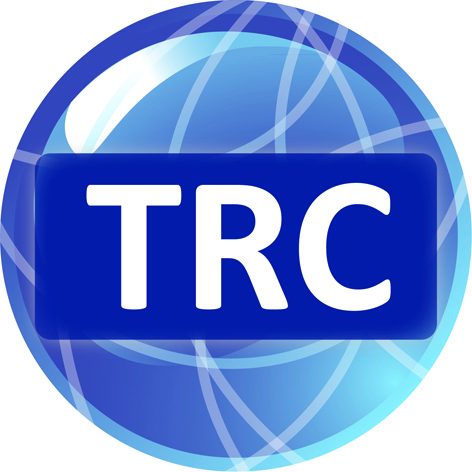 TRC brokers are well prepared to provide quality service to buyers and sellers with international property interests. Marketed around the world through an International Referral Network an exclusive network in Argentina, Brazil, Uruguay, Central America, Mexico, and Europe. Member of the International Consortium of Real Estate Associations (ICREA is 30 real estate organizations worldwide) Promoting Your Property to a Broad Global Audience on WorldProperties.com (28 Countries) and Distinctive Properties. Listed, marketed and available in 29 different languages. Provided the very best, most complete marketing and promotion package available. Find a Transnational Referral Certified (TRC) Broker to cross-border transactions can be complex, so it is important to involve a professional who understands local market business practices and market conditions. Search for brokers and sales agents who have completed training on transnational referrals. The individuals in this database are all affiliated with an ICREA member association and have completed training in making and receiving client referrals from professionals in other countries. An e-PRO® certification shows that your broker is willing to go the extra mile to provide the most up-to-date and sophisticated service, and truly be successful in a new era of internet & technology. Applying advanced technologies and social media strategies to your business plan expands your marketing capabilities, increases your reach, and builds trust. In keeping with its stellar reputation, the Sotheby’s International Realty® organization boasts an esteemed group of brokers who understand the unique mindset of upscale clients seeking distinctive homes (or second & third residences). Sophisticated, savvy and extensively trained in luxury markets, these professionals have an intimate knowledge of properties within the local community. Inducted into the ONE Sotheby’s International Realty Top Producer Circle. Sales volume in 2015 placed Ashton within the top 25 associates in the company. Since then, the office has grown from 150 to 600+ agents so I am not only greatly inspired by Titans within the company but also no longer in the top 20 as of 2017. I will certainly with time, prove otherwise! The National Association of Realtors® is the collective force influencing and shaping the real estate industry. It seeks to be the leading advocate of the right to own, use and transfer real property. The acknowledged leader in developing standards for efficient, effective and ethical real estate business practices valued by highly skilled real estate professionals and viewed by them as crucial to their success. The State Association Florida Realtors®, the voice for Real Estate in Florida, offers members the latest news and updates on the Florida real estate market. Florida Realtors® offers its members up to date training, best practices and keeps members apprised of changes in documents for the real estate professional. In the continually changing marketplace, extensive property research and trends are available to members. Chartered by the National Association of Realtors in 1920, this year MIAMI marks 94 years of service to Realtors, the buying and selling public, and the communities in South Florida. MIAMI has grown its membership from 162 in the beginning to more than 30,000 in the present day, making it the Largest Local Association in the nation. MIAMI is comprised of three organizations, the Residential Association, the Realtors Commercial Alliance, the Broward County Board of Governors, and the International Council MIAMI represents its professionals in all aspects of real estate sales, marketing, and brokerage at the local, State, national and international levels.MIAMI is the voice for real estate, influencing and shaping the industry. (MAR) Properties Marketed Worldwide on more websites and internet portals. Included in buyers tour maps, property brochures, and comprehensive comparative market analysis programs. Marketed in Major U.S. Markets including Manhattan, Washington D.C., Baltimore, LasVegas, Florida markets, and more. Marketed exclusively on the award-winning Terrafly, Immobel, and iMapp.com. Advertised on Realtor.com, Miami.com, Herald.com, Miamire.com, GreaterMiami.com Chamber of Commerce, plsnow.com, FloridaLivingNetwork.com, and more. Our tagline The Difference is Greater.℠ exemplifies all that we do. It’s our promise to you. As a member of GFLR, we are dedicated to serving you. Established in 1993, the Master Brokers Forum is a unique organization comprised of South Florida’s top residential real estate professionals. Membership into the Miami MBF is limited to the county’s most successful real estate professionals and is by invitation only. Members of The Institue for Luxury Home Marketing actively seek out the latest information in marketing strategies, staying on top of changing market conditions, and know how to handle the special needs of an elite clientele and their exceptional properties. Members are CLHMS designees who have documented multiple million dollar plus transactions and have been recognized by The Institute as members of The Million Dollar Guild®. The International Consortium of Real Estate Associations (ICREA) is an alliance of the world’s leading real estate associations, committed to high standards of professional conduct. The only organization of its kind, ICREA has dedicated itself to the international promotion of its members’ businesses, improving the way real property is transacted across national borders, and advocating for the industry on global issues. ICREA members include over 40 national real estate associations and regional associations across the globe. Governed by the Florida Real Estate Commission (FREC) who administers and enforces the Florida Real Estate Law. A Florida Real Estate Broker must successfully complete a FREC approved pre-licensing course, pass the Florida Real Estate Broker Examination and have successfully completed a FREC-approved post-licensing course for brokers. Hello, I’m Ashton Coleman and I absolutely love my daily adventures in real estate – I make an immediate impact for clients using knowledge & experience whether you are selling, buying, or leasing. My specialty is high-end real estate in Southeast Florida brokering transactions through ONE Sotheby’s International Realty. I have an office in South Beach and a home base in Fort Lauderdale. My exclusive listings are marketed through The Coleman Collection and feature the latest in technology including innovative digital and print advertising. I collaborate with the very best area Realtors® worldwide and then lead with social media channels to bring your properties story to life, showcasing it with beauty, passion, and precision to the world. When you’re here, you’re practically everywhere with many locations throughout South Florida.